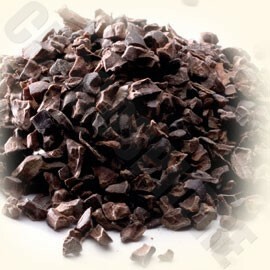 Callebaut Unsweetened Cocoa Nibs. Fine cocoa beans are roasted and fragmented into small bits. A nice addition to your recipe for a crunchy texture and taste that comes from the source of chocolate. Formula: NiBS-S-473. Product of Belgium. Net wt.20 Kg/44 lbs.